Heeft u een vraag voor Changi Cove? Voor reizigers die komen voor de bezienswaardigheden van Singapore, is Changi Cove een perfecte keuze. Het hotel ligt niet zo ver van het stadscentrum: de afstand is ongeveer 20. Km en het duurt normaal ongeveer 15 minuten om het vliegveld te bereiken. Niet minder uitzonderlijk is het feit dat zoveel attracties en monumenten in de buurt liggen, zoals Changi Beach Boardwalk, Changi Sri Ramar Temple, Changi Point Boardwalk. Het Changi Cove biedt een onberispelijke service en alle essentiële voorzieningen om reizigers een plezierig verblijf te bieden. Enkele voorbeelden van faciliteiten die dit hotel biedt zijn gratis wi-fi in alle kamers, 24-uur receptie, faciliteiten voor mindervaliden, bagageopslag, wi-fi in openbare ruimtes. De ambiance van het Changi Cove weerspiegelt zich in de inrichting van de kamers. plasma tv, spiegel, draadloos internet (gratis), rookvrije kamers, airconditioning zijn slechts enkele van de faciliteiten die u ter beschikking staan. Of u nu van fitness houdt of gewoon lekker wilt ontspannen na een drukke dag, het kan allemaal in dit hotel dankzij faciliteiten als golfbaan (binnen 3 km) , tuin. Fantastische faciliteiten en een uitstekende locatie maken het Changi Cove de perfecte uitvalsbasis om van uw verblijf in Singapore te genieten. Luchthaven transfer is niet beschikbaar bij deze accommodatie. Simple room at the corner of changi. Enjoyed the village feel of the place with lots of history. Good for us whole live on west side to get away to east side. Feedback- staff should inform that we can use pool facilities at the club nearby. Nice clean hotel with not much facilities but comfy bed and very clean rooms with very clean bathrooms. No fridge in standard king rooms. No room service for food but the cafe serves delicious food. A little pricy but ingredients are fresh. The staying in the middle of a beautiful forestFriendly and helpful staffs. Overall, it's a good staycation hotel (chalet). Nice quiet rooms with writing walls, bean bags, coffee and lots of hot water. It was a great place to explore the Changi area. The board walk is under construction until the end of Q1 2019 so the board walk currently doesn’t go to the ferry terminal. Excellent breakfast and friendly staff. Would recommend if you need to stay at accommodation close to airport for a short stay. Only 10-15 moms away from airport. Clean premises and friendly helpful service. 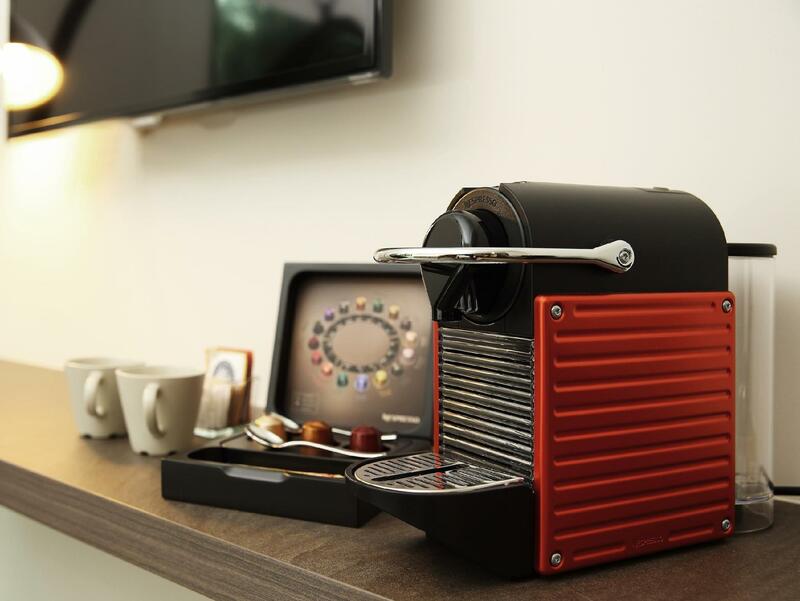 Bonus coffee making machine in room added to the stay. From the moment we arrived I was happy. Very professional staff and management. Had a one night "layover" and it's about 15 mins in a Grab to/from. Perfect for our overnight layover at Changi. Recommended. Room is simple but very clean. Hot water, cold A/C, decent WiFi. Good price for trusted experience. The hotel is about 15 mins away from Changi Airport. 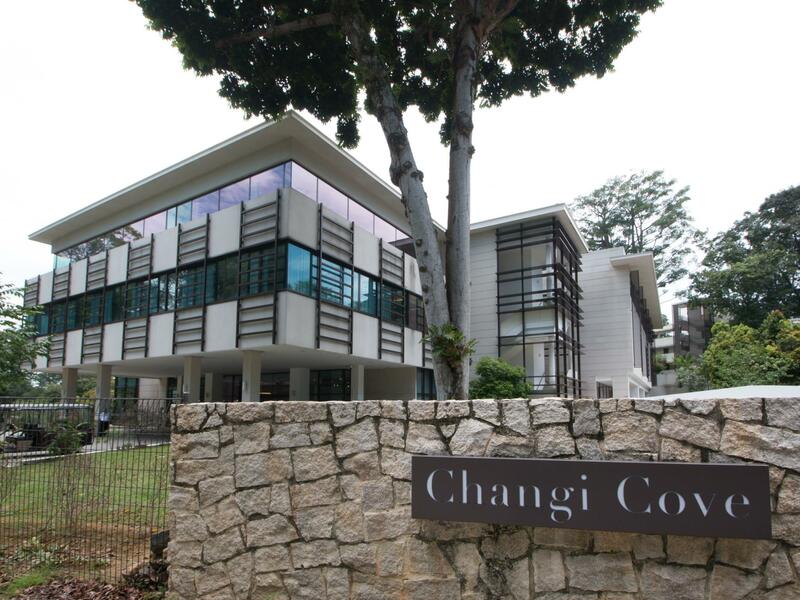 It is situated in a secluded part of Changi. No shops or restaurant nearby. Location is satisfactory. Stay was pleasant, quiet and relaxing. positive stay for good value price. I travelled all around the world especially Asia country's, This Hotel staff is the best team orientated I've ever had. They where up for any challenge I've ask for , to be honest they even went out of there way too make my stay comfortably as possible . Only 10 mins to airport terminal 1 ,2 ,3 4, and terminal 5 on its way soon too by car . Amazing grab prices 11 dollars to airport. And have an amazing range of food local around 15 mins walk to Changi village, or 2 mins by taxi. Awesome stay in Singapore. The room is nice and big.. but nothing much activities i can do here. No small shop like souvenier shop and convenient shop at the hotel. For muslims, this hotel is not 100% certified halal foods (i already bought from agoda, this room with breakfast before i knew this hotel was not provide halal food... i can eat the bread, but i was not sure i can control my kids since they still really smalls, not understand halal haram foods, they would crying if they coudnt get what they want!... Luckily, i was told by my hubby's friend to find halal food at changi hawkers village.. just 5 mins from the hotel.. we breakfast there! It's hard to tell that the hotel is actually quite big from the outside. Rooms were basic but has fun features like drawing on the walls and stuff. Maybe it's because of the location but the hotel was quiet on New year's day. We loved it. Not sure if there was a pool or any amenities that we could have utilised better as it wasn't explicitly told to us. Everything about our stay here was pleasant. The service staff are friendly and helpful, and our room was spotless. I also loved the doodle wall and actually used it to leave a message for the staff before checking out! We were hungry in the middle of the night but fortunately they sold instant noodle cups so there was no worrying that the hotel restaurant had closed at 11pm. Speaking of food, our free breakfast was just such a delight. If I knew there would be so much variety of good food, I would have woken up earlier! Overall we really enjoyed our stay at Changi Cove and would love to return when we get a chance. If you're on a stopover, this great hotel is perfect. Not far from the airport and an easy taxi ride into the city. This is the 5th time I have stayed here and it's always my first choice when stopping over in Singapore. Book ahead and you will score a good deal. Also, this is a nice part of Singapore - walk to the end of the road and find the waterfront walkway that goes a long way around the coastline. Clean and convenient, especially if you have a flight arriving late at night. It's close to the airport, so when all you want to do is sleep after you've landed, Changi Cove was a quick taxi ride away. It's not as close to downtown/all the Singapore sights, but not completely out of the way. The staff were welcoming and friendly! Having stayed at Changi Cove Hotel on our way to the UK in July, we had no hesitation in booking again for our stopover on the way back to Australia. The hotel and staff are wonderful. The place is as clean as a new pin and we enjoyed our time there. It is just a short walk to Changi Cove and the Beach Club is available to Hotel residents. It would not work for those who want to go shopping as it is in quite a remote location. But if you are simply looking for a place to catch up on some sleep and let your body relax mid flight to Australia, this hotel is great. And they make great coffee too. A taxi ride from the airport costs less than SGD 20. Would recommend this hotel to anyone. Had to stay overnight unexpectantly in Singapore and wanted somewhere close to the airport. In any case chose this hotel and got in bout 9 pm. Very pleasantly surprised. 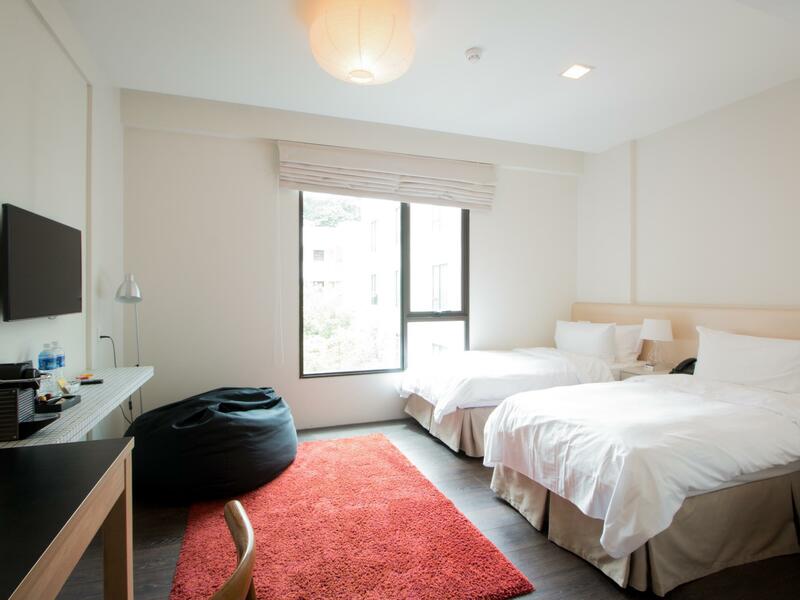 Price is very good by Singapore standards and the hotel is set in a garden type area. Clean, comfy and quiet rooms. The complimentary plunge coffee in the room was appreciated and when I asked for extended checkout it wasn't a problem. Very impressed with staff service and friendliness. Would recommend no problem.